This is a sponsored conversation written by me on behalf of Splenda. The opinions and text are all mine. Hello! 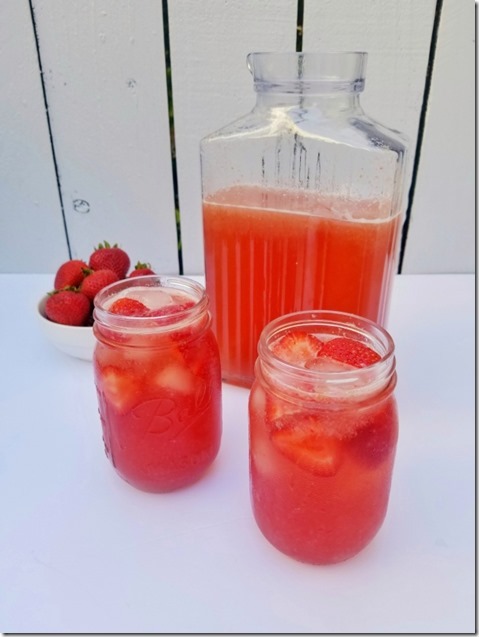 I have a fun ‘Hydration Challenge’ and delicious light Strawberry Iced Tea recipe made with SPLENDA® Naturals Stevia Sweetener to share today. Cheers! I’m oddly obsessed with making sure I’m well hydrated – it’s been a priority since high school for some reason? 1. I bought new stainless steel water-bottles! Awesome! They keep water cold (or hot) for a long time. They’re easy to clean and BPA free! But… My previous water bottles were transparent. I didn’t realize that was really encouraging. I guess seeing how much water I had helped me drink more? After a few weeks I felt like I was gaining weight. I was snacking more and drinking more seltzer water. I didn’t really stress about it since I try to practice intuitive eating and figured maybe I was just hungrier than usual and it was okay. But part of intuitive eating is also being aware of what your body is craving or telling you. I tried to observe myself from a neutral place and realized – I was drinking less water than before. And eventually figured out that my body was dehydrated and nudging me to eat more and drink more seltzer in an effort to quench my thirst. Seltzer is expensive mainly because I drink A LOT of it. So, even though I don’t think seltzer water in moderation is bad – I wasn’t drinking it in moderation and going through my Soda Stream canisters super fast. 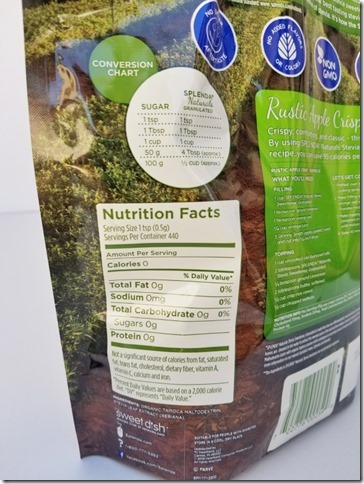 I decided to cut back on seltzer and diet soda… but now what? And that brings us to my new obsession and hydration challenge! Since I’m trying to drink more water based beverages but less carbonated beverages I’ve been making iced tea. I bought a big glass drink dispenser and brew ‘sun tea’ in the morning so it’s ready for the day. I’ve done green tea, black tea and tropical tea mixes. 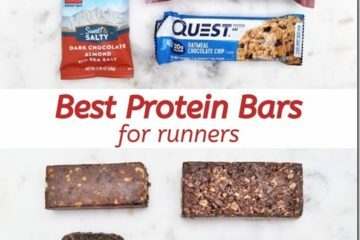 And they’re good! But I miss the fun flavors of seltzer! So, I made this Light Strawberry Iced Tea to switch it up and it’s delicious! Directions: Boil water and pour over green tea bags. 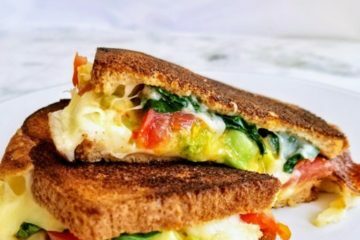 You can do this in big mugs or a heat-safe container. My glass container says note to put boiling water in it so I do this step in big mugs. Steep tea for 3-4 minutes. Remove tea bags and let cool a bit. Blend 1 cup of the strawberries, 1 cup of the cooled tea and the SPLENDA® Naturals in a blender. Combine the cooled tea, strawberry blend, remaining strawberries and 3-4 more cups of water in a drink container and refrigerate. 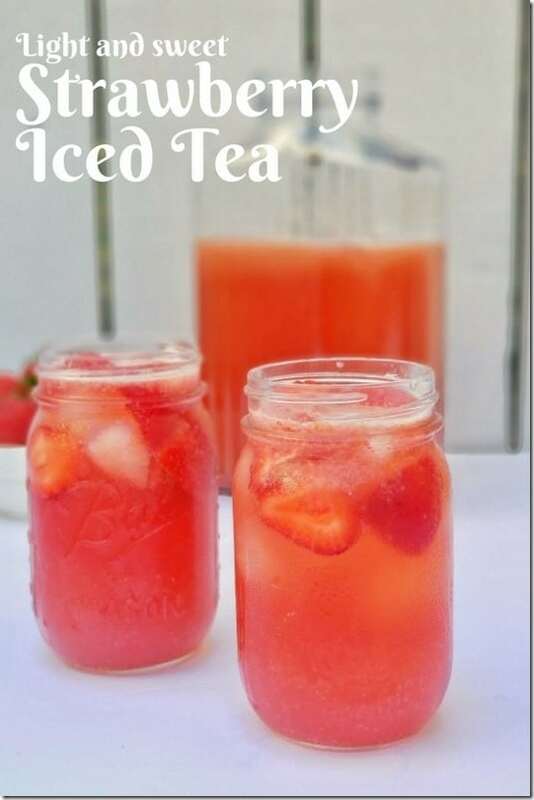 Tip: Freeze the 1 cup of strawberries you are not blending and serve the iced tea over those to keep the drink cool and avoid it getting watered down. 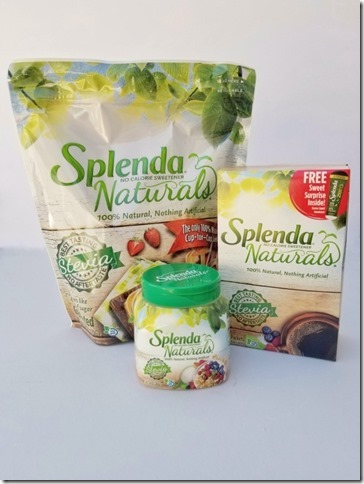 I used 1/2 cup of SPLENDA® Naturals Stevia Sweetener, Granulated – you can adjust the amount to your taste preference. When you’re cooking or baking with Splenda Granulated, it’s a one-to-one substitute from real sugar so that makes it easy to cut back on extra sugar and calories in recipes. But if you’re unsure just use a little less, taste it and add more as needed. Now I want to try and make other delicious iced tea combinations with different types of tea and fruit! Drink my entire water bottle before drinking other ‘fun’ beverages. After coffee since I drink that before running. This includes low calorie drinks and seltzer. Limit myself to 2 seltzers a day. I’ll be updating you on my challenge via Instagram and Insta Stories so follow @RunEatRepeat to keep up! The recipe as is is really good but I added frozen mixed berries but that’s my taste. Gotta stop anything carbonated and there’s an app that will remind you to drink water, it’s pretty cool and helped get me drinking water on a regular basis and I don’t even think about it. I also drink the following in the link below and it is definitely speeding up the metabolism. Small meals. My in-laws introduced to Teavana and I never had a problem staying hydrated again. Some of them don’t even need sweeteners. I’ve been obsessed with Jasmine green tea ever since. Oh yum, the strawberry tea sounds so refreshing, I’ve got to try making it! The last thing I drank was water – I can’t remember the last time I drank something other than water, actually… apart from tea (which doesn’t actually count IMO!). I guzzled a big glass of cold water – and I always say “Ahhh that’s so delicious”. My husband thinks I’m nuts 🙂 He doesn’t enjoy drinking water as much as I do so I’m always bringing him a glass “just in case” he’s thirsty.